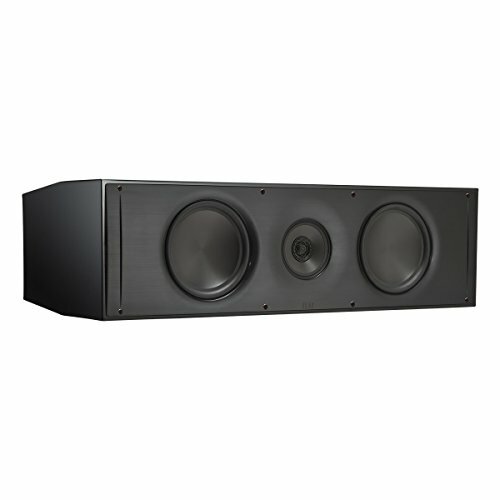 The AS-61 Center Channel Speaker is a three-way speaker system featuring ELAC's Interport-Coupled cavity. The 1" soft dome tweeter is concentrically mounted with a 5.25" aluminum cone midrange unit. For bass power, the AS-61 Stand Mount boasts two 6.5" aluminum cone drivers plus two 8" aluminum cone passive radiators. The dual pair of five-way metal binding posts allows bi-wiring or bi-amplification. Hugely complex but with benefits that are immediately audible, Adante's Interport-Coupled Cavity cabinet renders clearly superior performance in the reproduction of low frequencies. The concentric midrange/tweeter is isolated in its own space within the cabinet, and the woofer complement, comprising an active and passive driver, occupies a divided chamber vented internally with dual ports. Fundamental to Adante's superior performance are two new woofers that deliver extraordinary low frequency performance. Engineered specifically to work in concert with the elaborate Interport-Coupled Cavity cabinet design, the first woofer is a 6.5" active driver with wideband frequency response. It features an aluminum cone and cast basket assembly with a substantial magnet and voice coil. The aluminum cone is fast, stiff and low in distortion artifacts that otherwise compromise bass realism. The large, 5.25" diameter midrange cone, made of pure aluminum for maximum rigidity with lowest coloration, features a revised profile and generous 2" voice coil that results in greater output level and higher sensitivity than smaller concentric designs. Each Adante model is equipped with a dual set of binding posts. A supplied link allows use of a single pair of speaker cables and only two posts, while dual posts allow the option of bi-wiring with a single amplifier, or choosing bi-amplification with the use of two amplifiers, one for the concentric midrange/tweeter and the other for low-frequency drivers.